In celebration of the release of his Top 5 new album ‘Growing Over Life’ via Polydor Records, Wretch 32 has announced the details of two UK live headline dates for November 2016. Speaking on his new album, Wretch states “This is the album I’ve been waiting five years to release – and been waiting a whole lifetime to make” says the endlessly acclaimed North London rapper. It’s a lifetime digested and reflected upon, and Growing Over Life sits neatly in the middle space between rap freestyles and chart hits. Five years in the making, and with a new energy, the British Caribbean Londoner has taken a deep breath and relaxed into his musical approach (“my knowledge has increased, and I’ve got a lot more to say”). As a result, Growing Over Life is uncompromisingly soulful and raw, and expertly stakes his claim as part of a generation of great British singer songwriters. Since his last album, he’s collaborated with the best of British talent, from a collaboration with Emeli Sande on Naughty Boy’s 2013 ‘Hotel Cabana’ album, stormed into the top 10 with the critically acclaimed ‘Six Words’, and last year, released a mixtape titled, ‘Young Fire, Old Flame’ that re-ignited his capital with the UK underground. It led to the (now infamous) performance of his Fire In The Booth freestyle on BBC 1xtra that sent fans into raptures and views into overdrive. 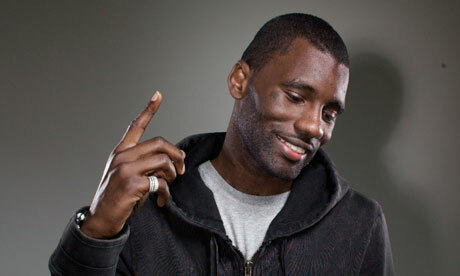 Wretch’s prowess as a lyricist and writer is as evident in his cathartic freestyles as throughout the new album, pushing the limits of his ability across an eclectic selection of tracks. Growing Over Life is at its heart, a commentary on Britain, and the black British experience in 2016. From constant referencing his roots through live shows - his last tour saw him incorporate fixtures to emulate the street he grew up in including street lights, a phone box and his bus stop - to discussing ‘have-nots’ (Antwi) and race (‘Would you walk a mile as a black man in their shoes?’ – Dreams To Sunshine) this is the culmination of five years of navigating emotion and using the studio as catharsis. As a result, we’re met with his most forward-looking offering, drenched with emotional density and rich, pop production at the helm. Honest, unabashed, and ambitious, this is Wretch ready to secure his position as one of our most exciting home-grown talents at a time when Black British music has never been more exciting. Welcome to the journey. Performing two very special live UK dates in November 2016 expect to hear new music from his debut album. For your chance to win 2 tickets for the Manchester 02 Ritz gig on 10th November 2016 simply retweet the message below: we'll draw the winner at random on Tuesday 8th and DM the winner directly. Follow @McrGossip to qualify, Good luck!